He would see the operatives, he said, disguised as ordinary people, lurking around his Midtown Manhattan neighborhood. Sometimes they bumped into him and whispered nonsense into his ear, he said. At first, Mr. Trespas wondered if it was all in his head. Then he encountered a large community of like-minded people on the internet who call themselves “targeted individuals,” or T.I.s, who described going through precisely the same thing. The group was organized around the conviction that its members are victims of a sprawling conspiracy to harass thousands of everyday Americans with mind-control weapons and armies of so-called gang stalkers. Mental health professionals say the narrative has taken hold among a group of people experiencing psychotic symptoms that have troubled the human mind since time immemorial. Except now victims are connecting on the internet, organizing and defying medical explanations for what’s happening to them. The community, conservatively estimated to exceed 10,000 members, has proliferated since 9/11, cradled by the internet and fed by genuine concerns over government surveillance. A large number appear to have delusional disorder or schizophrenia, psychiatrists say. Perhaps their biggest victory came last year, when believers in Richmond, Calif., persuaded the City Council to pass a resolution banning space-based weapons that they believe could be used for mind control. A similar lobbying effort is underway in Tucson. Dr. Lorraine Sheridan, who is co-author of perhaps the only study of gang-stalking, said the community poses a danger that sets it apart from other groups promoting troubling ideas, such as anorexia or suicide. On those topics, the internet abounds with medical information and treatment options. An internet search for “gang-stalking,” however, turns up page after page of results that regard it as fact. The tribe cuts across all classes and professions, and includes lawyers, soldiers, artists and engineers. In Facebook forums and call-in support groups, they commiserate over the skepticism of their loved ones and share stories of black vans that circle the block or co-workers conscripted into the campaign. In hundreds of YouTube videos they offer testimonials and try to document evidence of their stalking, even confronting unsuspecting strangers. “They wanted to basically destroy me, and they did,” a young mother in Phoenix says in one video, choking back tears. She lost custody of her daughter and was sent to a behavioral health hospital, says the woman, whose name is being withheld to protect her privacy. Dr. Sheridan’s study, written with Dr. David James, a forensic psychiatrist, examined 128 cases of reported gang-stalking. It found all the subjects were most likely delusional. Perhaps unsurprisingly, the community is divided over the contours of the conspiracy. Some believe the financial elite is behind it. Others blame aliens, their neighbors, Freemasons or some combination. The military establishment, the theory goes, never gave up on the ambitions of MK Ultra, the C.I.A.’s infamous program to control the mind in the 1950s and ’60s. In his 2009 book, “A New Breed: Satellite Terrorism in America,” Mr. Hall gave his own account of being targeted. Agents bleached his water, he wrote, and bombarded him with voices making murderous threats. The book made a splash because of the messenger: a licensed member of the medical establishment who was telling those who feel targeted that psychiatrists were misleading them. A janitor knows as much about the human mind, he wrote. Mr. Hall, 51, was invited for an interview on “Coast to Coast AM,” a conspiracy-minded radio show based in California that is said to reach millions of listeners. The similarities of the cases spoke to a wide-ranging campaign, he said. “If the psychiatrists want to say that this is schizophrenia or delusional disorder, that’s fine,” he said. Dr. Hall discusses gang stalking, psychiatry and MK Ultra. While Mr. Hall has faced scrutiny from the Texas Medical Board over his mental fitness, he retains his license. Over time, however, many others who identify as gang-stalking victims end up out of work. They are mocked by colleagues, tolerated by family. Friends and spouses fall away. Many in the community, for example, are convinced that Aaron Alexis, who killed 12 people at the Washington Navy Yard in 2013, was a victim. Mr. Alexis, a former sailor, left behind a document accusing the Navy of attacking his brain with “extremely low frequency” electromagnetic waves. It was unclear when Myron May’s mental distress began, but by the fall of 2014, it had become too much. He quit his job as a prosecutor in New Mexico and traveled to Florida. There, he videotaped a testimonial about how gang-stalking had ruined his life. Myron May: "I'm what's called a targeted individual." Laying out his case, he describes an episode at a gas station where he believed somebody in dark glasses was mimicking his movements. Later in the video, he prays for forgiveness for his future sins. “Father,” he says, “right now I ask that you look down on all the targeted individuals across the globe. On Nov. 20, 2014, Mr. May walked into a library at Florida State University, where he had graduated in 2005, and shot three people, leaving one paralyzed. He dared the police to kill him, then fired in their direction before being fatally shot, officials said. The vast majority of people with psychosis never resort to violence. Still, studies suggest that a small number of those experiencing psychotic episodes — especially paranoid thoughts, accompanied by voices making commands — are more likely to act on hostile urges than people without a mental illness. Many in the T.I. community, as anyone would, have repudiated the shootings by Mr. Alexis and Mr. May. But some also harbor troubling views about their perceived oppressors. They question how people could be so cruel. Karen Stewart of Tallahassee, Fla., believes large numbers of regular people have been brainwashed by the National Security Agency into thinking that she is a traitor or terrorist. Wherever she goes, she says — to church, to the grocery store, to the doctor’s office — they are there, watching. It baffles her, she said. But worse, “It makes me angry to see how many people in this country are sociopaths. They are absolute groupthink drones,” she said. “I think it’s a need for meaning and a need to understand your life and the problems you’re having,” she said. “It wasn’t something that he was making up,” she said. “He really felt the way he felt and experienced what he experienced. The big hope is that society will wake up to what’s happening and put a stop to it, those who feel targeted say. In some cases, they do seek psychiatric help. In others, the delusions subside. For the rest, the prognosis isn’t good, psychiatrists say. Sitting at a coffee shop in Brooklyn last month, he says the stalking has thankfully quieted down. But he says his harassers have also been seeding his body with Morgellons, a painful, insectlike infestation of the skin that many doctors say is psychosomatic. He is gaunt, with weary, sad eyes. It’s been eight years since it all began, he says. He can’t hold a job. His friends have drifted away. The online community has been a crucial support, he says. “But we don’t know exactly what’s happening,” he says. “Maybe we’re believing the wrong thing. I don’t know. Follow Mike McPhate on Twitter @mmcphate. in the Microwave Auditory Effect"
AmericanPsychologist, March 1975, pp. 391-401. ^ 訴訟 - ジョン聖クレア Akwei 対 NSA、フォートミード、MD、米国. ^ブラック、ジョン。NASA は、サイレントを電算化するシステムを開発 『 SUBVOCAL 演説 』. 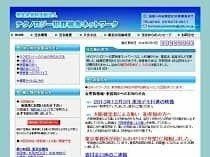 どのように国家安全保障代理店 (NSA) 不法と憲法法律に従うアメリカ人毎日を起こりません。どのように、頼むか。かなり単に、実際に。それは EMF またはエルフ ラジオ波とリモート ニューラル「監視」として知られている技術によって行われます。あなたの左耳に鳴っていることについて考えたことしていないか。まあ、ここに理由です。そして、ちょうどなぜ NSA 行う必要がありますこれは、あなたを求めるか？すべての人を沈黙させる誰あえてそれらまたは他の代理店、または政府に反対の声または単に自分自身を"ボックス"の外側を考える場合になります。そうは思いませんか？その後、上を読む.